We've been doing this quite a while now, so I often get confused. 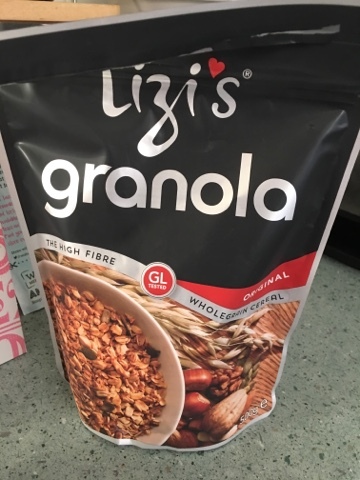 This Lizi's cereal is just the regular version of something I reviewed and loved some time ago. At the time I thought that it wasn't necessary to review the original version quite so soon. And so I forgot to write it up. Tens of packets later (it gets added to almost all Ocado orders I do) my weekend treat cereal finally gets its own review - and I'd even consider re reviewing the flavour I had before or one of the others I've had over the years - it's that good. It seems that Lizi started off just making this for her B&B and I've no doubt that someone stayed a night and simply needed more. What makes it so magical is that it's both filling and light at the same time. It's clearly not a muesli and contains no raisins or sultanas to overpower the gentally roasted flavour. It's such a symphony of seeds and grains that each bite is subtly different and every bowl is a pleasure. 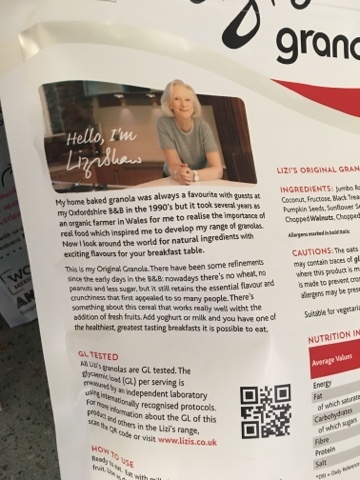 This is not a cereal for mixing with other, lesser cereals, but I have added fresh and dried fruit, and tried with a variety of milks including Oat and soy and it takes and enhances them all. I ration and try not to eat it all at once, indeed the bag in the picture has been in the cupboard for months but now that it's open it won't last long - even with the small portions required to feel full. Cereal cafe owners should order in bulk. 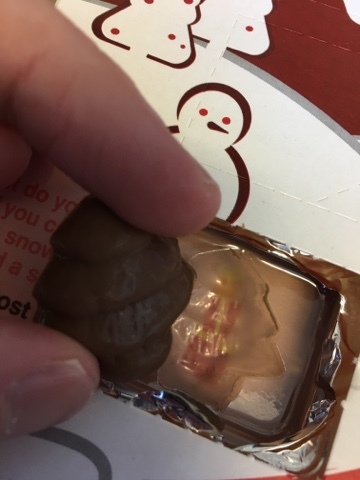 Being the first of December 2016 I opened my family provided advent calendar. 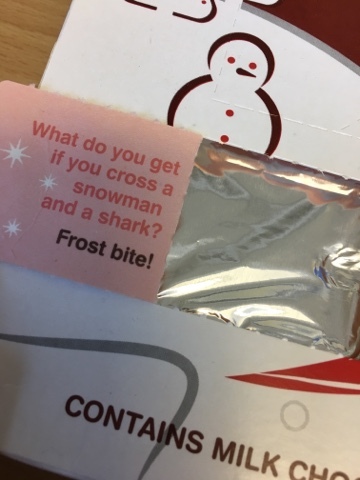 I found a bad joke and a chocolate tree. Surely that's just Japanese food? 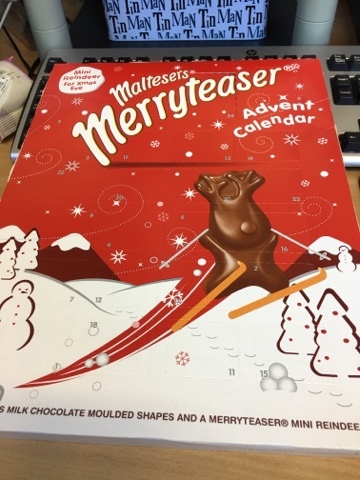 Unusually the chocolate tasted like maltesers but didn't have any big malt bits in suggesting there is something in the dust. Further calendar updates on my next review.